Favorable pricing – As low as currently $29.99 for one month of unlimited viewing on a single channel, or $150 for a year of all channels across their networks. This means our customers can watch our convention live streams at a price that is lower than our past events, and includes exclusive access to replays of specific content for several weeks following the event. Solid platform — a rock-solid distribution network already relied on by tens of thousands of viewers of sports ranging from wrestling to tennis to martial arts. 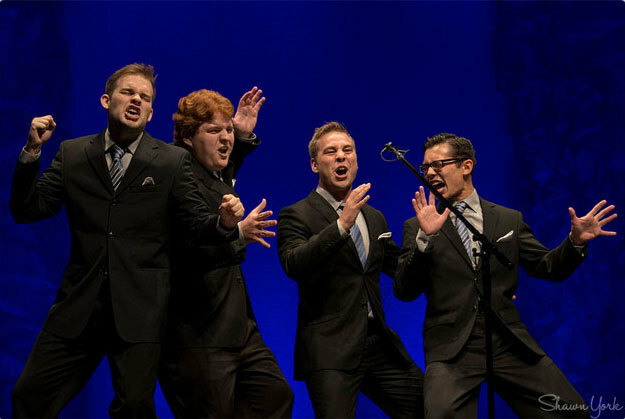 Continuing access to quality content year-round — in addition to barbershop, watch a cappella competitions, behind-the-scenes stories, educational content, and more. Ease of use on many platforms — works on desktop, mobile, and connected TV devices such as Apple TV and Roku. Continuing access to technical support and customer service here. 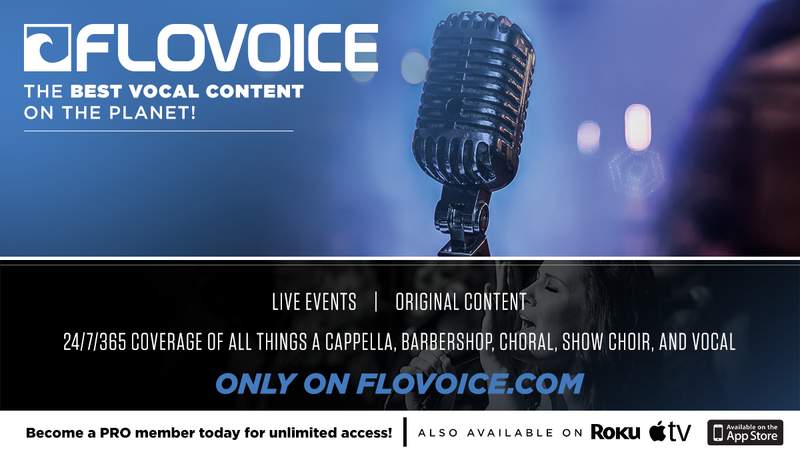 For just $29.99, you can have access to all the content on FloVoice (including the International convention) for one month. But for the best deal, get a PRO annual subscription for $150, which includes a full year of access to the entire Flo network with all kinds of competitions and sports — hoops, marching, hockey, cheer, anyone? If I subscribe to FloVoice for the year, do I also get to watch International 2019? YES! This is the best option, and also gives you access to all the channels of the FloSports network. See http://www.flosports.tv/ for all 25 channels. Is there a delayed viewing option? Due to licensing requirements and copyright law, the only guaranteed way to see the convention performances is to watch live. Some limited videos will be available exclusively to FloVoice viewers following the convention. When will the performances be available on YouTube? We plan to share all contest/festival videos on the BHS YouTube channel 3 months after the convention. Some show performances will be available sooner and some video content will be available exclusively to FloVoice viewers for 6 months following the convention. Can I share these videos with my friends and family who were unable to attend? It’s not possible for multiple viewers to use the same login information, but with a price so low, encourage your friends and family to purchase a subscription and experience barbershop from the comfort of their own homes! I’m a music educator. Can I get a free pass? 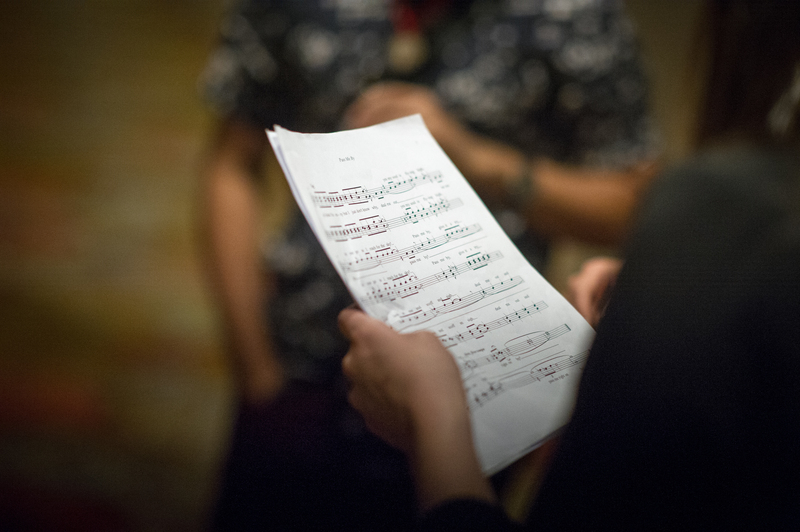 Currently, we’re only making a limited number of free passes to music educators available for our Midwinter conventions since they occur during the school year. Please contact outreach@barbershop.org if you are interested in viewing the live stream of the 2019 Nashville Midwinter Convention in your classroom. Why do I have to subscribe? Can’t I just purchase the convention? Subscribing for a month or a year is how you get access not only to the live broadcast of the International convention, but also to other great content on FloVoice. See the schedule of upcoming events here: https://www.flovoice.com/events. And if all you want to watch is the Midwinter convention, the low price of 30 bucks will bring you all the action! Just make sure you cancel your subscription once the convention is over before it is automatically renewed for the next month. Will my subscription automatically renew after the first month of service? Yes, your FloVoice subscription will automatically renew for the next month if you don’t cancel your subscription. If you only want to subscribe for the International convention live stream, you must cancel after the convention concludes. But be sure to take full advantage of FloVoice’s programming for the full month to which you have subscribed! See the schedule of upcoming events here: https://www.flovoice.com/events. How will competitors get access to their own performances? BHS will provide competitor videos to contest participants following the convention. These videos are for private use only and may not be shared publicly or posted on social media. All competitor videos will be made available on the BHS YouTube channel for public viewing 3 months after the convention. Will FloVoice show Harmony U classes? We are still working with FloVoice regarding what content (in addition to what’s on the “big stage”) will be streamed through FloVoice. This may include some HU classes, special interviews, or other behind-the-scenes access. Stay tuned! Is there a discount for attendees? Attendees will get the same low price as other viewers — currently just $29.99 for a month for access to all FloVoice video content or $150 for the year with access to all FloSports channels. Will the show still have hosts, interviews, shout-outs, etc. like before? The International Convention includes celebrity hosts, interviews, and all the great content that you’re used to! Can I just subscribe to FloVoice for the duration of the convention then cancel? You bet. For less than $30 you can see the convention as part of your monthly subscription. But since you’ve paid for a month, why not watch a few other events? Just make sure you cancel your monthly subscription before it is automatically renewed. See http://www.flosports.tv/faq/ for all the subscription options and details. As a FloVoice subscriber, do I get access to all FloVoice content? Or just BHS stuff? You get it all! A monthly subscription gives you access to all FloVoice content for only $29.99, or get the best deal with an annual PRO subscription for just $150, and watch anything you like on all 25 channels of the FloSports network. How do I watch on Apple or Roku devices? Will you please include my district convention/chapter show in the package? We would love to! As the official Live Stream Partner of the Barbershop Harmony Society, FloVoice would be thrilled to talk with any district or chapter leaders about streaming your events. Please contact marketing@barbershop.org and we will put you in touch with the right person.